Jack Bannon, best known for playing assistant city editor Art Donovan on the TV show Lou Grant, died on October 25 2017 at the age of 77. Jack Bannon was born June 14 1940 in Los Angeles, California. His parents were both well-known actors. His father was Jim Bannon, perhaps best known for playing Jack Packard on the radio show I Love a Mystery and the character Red Ryder in movies. His mother was famous voice actress Bea Benaderet, who did a number of radio shows and Warner Bros. animated shorts, and would later star on the sitcom Petticoat Junction. His parents divorced when he was around five years old. Mr. Bannon studied acting at the University of California, Santa Barbara and graduated in 1963. That same year he made his television debut in an episode of Petticoat Junction, on which his mother starred. He would make several more guest appearances on the show (playing the recurring role of Roger Budd and later a different character every time). In the Sixties he also guest starred on such shows as The Beverly Hillbillies, Karen, Green Acres, Felony Squad, Judd for the Defence, The Man From U.N.C.L.E., The Andy Griffith Show, The Invaders, The Rat Patrol, Here's Lucy, Daniel Boone, Lassie, and Mannix. In 1967 he had a recurring role on the soap opera Days of Our Lives. He appeared in the films What Ever Happened to Aunt Alice? (1969), The Phynx (1970), and Little Big Man (1970). In the Seventies Jack Bannon was a regular voice on the Saturday morning cartoon Tarzan, Lord of the Jungle. It was in 1977 that he began playing Art Donovan on the TV series Lou Grant. He remained with the show until it went off the air in 1982. He guest starred on such shows as Night Gallery, Monte Nash, The Bob Crane Show, Kojak, Gemini Man, The Six Million Dollar Man, The Rockford Files, Quincy M.E., Charlie's Angels, Barney Miller, and Insight. In the Eighties Mr. Bannon was a regular on the short-lived show Trauma Centre. He had a recurring role on Knot's Landing during the 1984-1985 season. He also had recurring roles on St. Elsewhere and the soap opera Santa Barbara. He guest starred on such shows as The Love Boat, Trapper John M.D., The Fall Guy, Simon & Simon, Remington Steele, Newhart, Matlock, Moonlighting, Designing Women, Hunter, Night Court, and Murder, She Wrote. He appeared in the film Death Warrant (1990). In the Nineties Jack Bannon guest starred on such shows as MacGyver, Empty Nest, The Golden Girls, and Dr. Quinn, Medicine Woman. He appeared in the films Da Vinci's War (1993), Distant Cousins (1993), Hard Vice (1994), To the Limit (1995), and The Basket (1999). In the Naughts and the Teens he appeared in Waitin' to Live (2006) and Without a Ladder (2013) . He was a part of the company of the Coeur d’Alene Summer Theatre in Coeur d’Alene, Idaho for two decades. 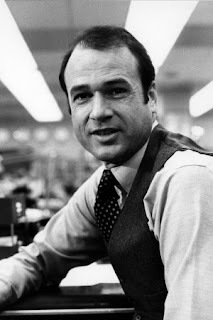 Jack Bannon was very convincing as assistant city editor Art Donovan on Lou Grant, to the point that it was hard to believe he was merely an actor playing the role. And while the other characters on Lou Grant, including Lou himself could be very emotional, Art Donovan was always calm and attentive to the accuracy of what they did at the fictional Los Angeles Tribune. Over the years he made many guest appearances on TV shows, playing everything from medical doctors to police officers. In most all of those guest appearances he was as convincing as he was on Lou Grant. Jack Bannon was a fine actor with a good deal of talent. Rock 'n' roll legend Fats Domino died on October 24 2017 at the age of 89. Fats Domino was born Antoine Dominique Domino Jr. on February 26 1928 in New Orleans. His interest in music began when his family inherited a piano when he was 10 years old. His brother-in-law, traditional jazz guitarist Harrison Verrett, taught him the basics of playing the instrument. Afterwards young Antoine Domino became absolutely fanatical about playing the piano. He was influenced by such boogie woogie performers as Meade Lux Lewis, Pinetop Smith, and Amos Milburn. By the time he was 14 years old Antoine Domino was playing in clubs in New Orleans. It was in 1947 that he began playing with bassist Billy Diamond and his band the Solid Senders at the club the Hideaway. It was Billy Diamonds who nicknamed him "Fats", not only because of his size but because he reminded him of pianists Fats Waller and Fats Pichon. It was in 1949 that Lew Chudd, the owner of Imperial Records in Los Angeles, went to the Hideaway in New Orleans Mr. Chudd signed Fats Domino immediately. What is more, unlike many contracts of the time. Fats Domino's contract with Imperial Records specified that he be paid royalties based on continued sales rather than a flat fee for each song. It was in December 1949 that Mr. Domino's first single, "The Fat Man", was released. It proved to be a hit, going to number 2 on the Billboard rhythm and blues chart. It also proved to be very influential, as it is often counted as one of the first rock 'n' roll records. In 1950 and 1951 Mr. Domino would have more hits on the Billboard rhythm and blues chart, including "Every Night About This Time" and"Rockin' Chair". His first hit to cross over to the Billboard singles chart was "Goin' Home", which went to no. 1 on the Billboard rhythm and blues chart and no. 30 on the singles chart. From 1952 to 1955 Mr. Domino would have several more hits. "Poor Poor Me", "How Long", "Please Don't Leave Me", "Rose Mary", "Something's Wrong", "You Done Me Wrong", "I Know", and "Don't You Know" all performed extremely well on the Billboard rhythm and blues chart. The song "Going to the River" also crossed over to the Billboard singles chart. It was in 1955 that Fats Domino would have his first major crossover hit. "Ain't That a Shame" hit no. 1 on the Billboard R&B chart. It peaked at no. 10 on the Billboard singles chart. It eventually sold one million copies. It would also be Fats Domino's first hit in the United Kingdom, reaching no.23 on the British singles chart. The song would be covered multiple times by such artists as Pat Boone, The Four Seasons, John Lennon, and, most notably, by Cheap Trick. It was the first song John Lennon, later of The Beatles, ever learned to play. Following "Ain't That a Shame" Fats Domino regularly had hits on both the Billboard singles chart and the Billboard R&B chart. What is more, some of his songs would actually chart higher than "Ain't That a Shame" on the singles chart. "I'm in Love Again" peaked at no. 1 on the R&B chart and no. 3 on the singles chart. Its B-side, Mr. Domino's cover of "My Blue Heaven" also charted, going to no. 5 on the R&B chart and no. 19 on the singles chart. At least going by its chart position, "Blueberry Hill" would be the biggest hit of Fats Domino's career. It went to no. 1 on the R&B chart and no. 2 on the singles chart. 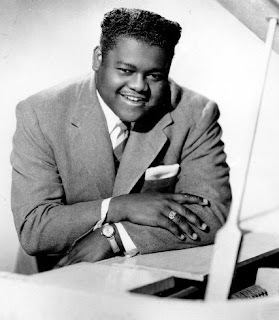 Fats Domino's other major hits during the era were "Bo Weevil", "When My Dreamboat Comes Home", "Blue Monday", I'm Walkin'", "Valley of Tears", "When I See You", and "It's You I Love". Beginning in late 1957 Fats Domino's career went into a slight decline, although he would still have several hits over the next several years. His single "Whole Lotta Loving" went to 6 on the singles chart and no. 2 on the R&B in 1958. That same year "I Want to Walk You Home" went to no. 8 on the singles chart and no. 1 on the R&B chart. The following year "Be My Guest" peaked at no. 8 on the singles chart and no. 2 on the R&B chart In 1960 he had hits with "Walking to New Orleans" and "My Girl Josephine". Unfortunately by 1962 Fats Domino was no longer having the hits he once did. That having been said, he was still a very popular performer around the world. In 1962 he toured Europe and met an up-and-coming band called The Beatles. It was in 1963 that Imperial was sold and Fats Domino left the label. He signed with ABC-Paramount Records. Sadly, only one of Fats Domino's songs recorded with ABC-Paramount would prove to be a hit. "Red Sails in the Sunset" went to no. 35 on the Billboard Hot 100 and no. 24 on the R&B chart. While Fats Domino did not see the success that he once had, he continued to record. He signed with Mercury Records in 1965, Broadmoor in 1967, and then Reprise in 1968. After "New Orleans Ain't the Same" he released only two more singles, "Sleeping on the Job" in 1978 and "Whiskey Heaven" in 1980. Despite the fact that he would record no more singles, Mr. Domino recorded several more albums after 1970. In fact, he regularly released albums until 1981. His final album was released in 2006, Alive and Kickin'. Fats Domino continued to perform even after he stopped recording. He made one last tour of Europe in 1995. After having fallen ill during the tour he retired from touring, although he continued to perform in the New Orleans area. He made yearly appearances the New Orleans Jazz & Heritage Festival, as well as other events in the New Orleans area. He and his family survived Hurricane Katrina in 2005, even though he lost everything. It is not enough to say that Fats Domino was a rock 'n' roll legend. Quite simply, he was one of the inventors of the genre. He was recording rock 'n' roll records as far back as 1949, well before the genre would receive the name by which it would be best known. As might be expected as one of rock 'n' roll's earliest innovators, Fats Domino had an enormous amount of influence. At a 1969 press conference in Las Vegas, when a reporter called him "the king", Mr. Presley gestured to Fats Domino and said, "There’s the real king of rock ’n’ roll." The Beatles credited Mr. Domino as one of their influences. As mentioned earlier, "Ain't That a Shame"was the first song John Lennon learned to play. George Harrison said that "I'm in Love Again" was the first rock 'n' roll song he ever heard. Ultimately Fats Domino would be an influence on artists as diverse as Cheap Trick, The Voidoids, and Yellowman. During his career Fats Domino sold 65 million singles. He had 23 gold records. He was the best selling African American recording artist in the Fifties. His style was buoyant and bouncy, a fusion of New Orleans boogie woogie and rhythm and blues. On a personal note, I think most people would find it difficult not to smile upon hearing a Fats Domino record. If he was so influential, it was because he was so very good at what he did and able to bring people joy while doing it. Robert Guillaume, who played Benson on the TV show Soap and its spin-off Benson as well as roles on numerous films and TV shows, died on October 24 2017 at the age of 89 The cause was prostate cancer. Robert Guillaume was born Robert Peter Williams in St. Louis on November 30 1927. His mother was an alcoholic and he was raised by his grandmother Jeanette Williams. He attended a Roman Catholic school in St. Louis where he sang in the choir. In 1945 he enlisted in the United States Army. He received an honourable discharge in 1947. Following his service, Mr. Guillaume attended St. Louis University on the G. I. Bill where he studied business. He later attended Washington University in St. Louis where he studied theatre. In the late Fifties he joined the traditionally all black Karamu House in Cleveland where he played Billy Bigelow in the musical Carousel. It was while he was at Karamu House that he adopted the stage name "Roger Guillame", "Guillaume" being the French version of "William". He felt that "Robert Williams" was far too common a name. In 1959 he joined the cast of Harold Arlen's musical Free and Easy, which played in Amsterdam, but not the United States. It was in 1960 that he made his debut on Broadway in Finian's Rainbow. The Sixties saw Robert Guillaume appear in the productions Kwamina, Tambourines to Glory, and Purlie on Broadway. In 1964 he appeared in Porgy and Bess at the City Centre in New York City. He made his television debut in 1966 in Porgy in Wien, a special which detailed the production of Porgy and Bess in Vienna. He guest starred on Julia and Marcus Welby M.D. It was in 1977 that Robert Guillaume began playing Benson, the wisecracking butler on Soap. The character proved popular enough that he was spun off into his own series, Benson, in 1979. Mr. Guillaume also guest starred on Sanford and Son, All in the Family, and The Jeffersons. He appeared in the films Super Fly T.N.T. (1973) and Seems Like Old Times (1980). On Broadway he appeared in a revival of Purlie and Guys and Dolls. 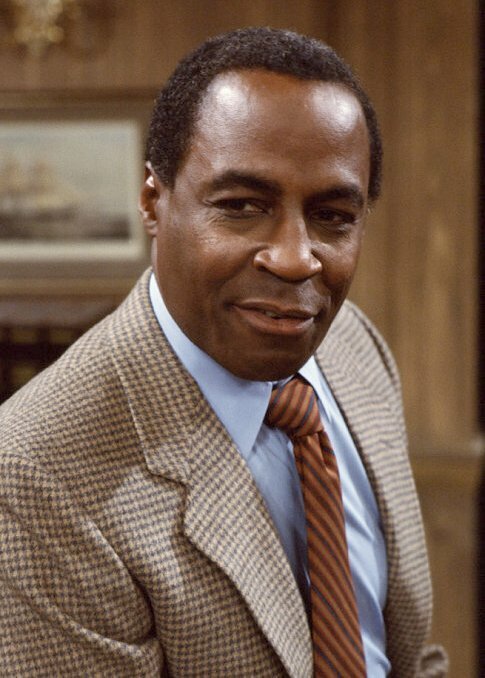 In the Eighties Robert Guillaume continued to play Benson on Benson. He also starred on the short lived The Robert Guillaume Show. He guest starred on The Love Boat, Hotel, and Crossbow. Mr. Guillaume played Fredrick Dogulass in the mini-series North and South. He appeared in the films Prince Jack (1984), Wanted: Dead or Alive (1987), They Still Call Me Bruce (1987), Lean on Me (1989), and Death Warrant (1990). In the Nineties Robert Guillaume starred on the short-lived series Pacific Station and the sitcom Sports Night. He was one of the voices on the short lived animated series Fish Police. He guest starred on such shows as L.A. Law, Jack's Place, A Different World, Diagnosis Murder, Burke's Law, Promised Land, The Outer Limits, and Moesha. He was the voice of Rafiki in the film The Lion King (1994). He appeared in the films The Meteor Man (1993), Spy Hard (1996), First Kid (1996), and Silicon Towers (1999). He appeared on Broadway in Cyrano - The Musical. In the Naughts Mr. Guillaume guest starred on such shows as The Proud Family, 8 Simple Rules, and CSI: Crime Scene Investigation. He appeared in the movies 13th Child (2002), Big Fish (2003), and The Secrets of Jonathan Sperry (2008). In the Teens he appeared in the films Satin (2011), Columbus Circle (2012), and Off the Beach (2013). He had a recurring role on the show Wanda Sykes Presents Herlarious. Late in Mr. Guillaume's career he became the first African American to play the Phantom in a Los Angeles production of Phantom of the Opera. Benson is one of the most memorable characters in America television, largely because of Robert Guillaume. Mr. Guillaume was an incredible talent, who could bring characters to life in a way that very few actors can. In addition to Benson, over the years he played a number of characters, including travelling preacher Purlie Victorious Judson, school superintendent Dr. Frank Napier in the movie Lean on Me, and historical figures Frederick Douglass and Martin Luther King. Over the years he played characters from detectives to lawyers to priests. Robert Guillaume was a great actor who always gave great performances. 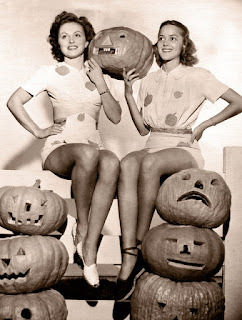 It is a tradition here at A Shroud of Thoughts to post classic pin ups on certain holidays, Halloween among them. Here the are this Halloween's pinups. First up is late 1930s model and actress Iva Stewart who is picking out a pumpkin for her Halloween celebration. Next up is June Haver, who is admiring some Halloween decorations. Next up is Jeanne Crain, possibly the most attractive scarecrow ever. Cheryl Walker and Marjoie Henshaw are collecting jack o' lanterns! 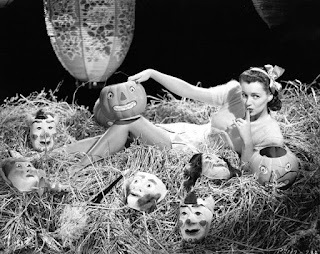 And, of course, it wouldn't be Halloween without Ann Miller! As surprising as it might seem now, there was a time when Halloween specials were a rarity on television. Even though literally hundreds of Christmas specials aired in the Sixties and Seventies. for much of that time It's the Great Pumpkin, Charlie Brown was the only Halloween special that aired with any regularity. That made 1978's animated special The Devil and Daniel Mouse somewhat of a rarity at the time it aired. What made this special, well, more special is that it was made in Canada. What is more it was also made by an animation studio that would soon be rather famous, Nelvana, Ltd. It would also play a pivotal role in animation history, but that will be discussed a little later. Nelvana was founded in 1971 by Michael Hirsch, Patrick Loubert, and Clive A. Smith. The company was named for Canada's very first superhero, Nelvana of the Northern Lights. The company started out by making animated fillers for the CBC. They eventually produced a short-subject series, Small Star Cinema, for the broadcast company. Starting with A Cosmic Christmas in 1977, Nelvana began producing animated holiday specials. The Devil and Daniel Mouse would be their second holiday special, produced to air around Halloween. The Devil and Daniel Mouse was written by Ken Sobol, who had already worked in animation for several years. He had written scripts for such American Saturday morning cartoons as The Lone Ranger (the Sixties version), Journey to the Centre of the Earth, and Fantastic Voyage. For Nelvana he had written their previous holiday special, A Cosmic Christmas. The special was very loosely based on Stephen Vincent Benet's short story "The Devil and Daniel Webster". It centred on two anthropomorphic mice who comprise the folk music duo of Dan (speaking voice by Jim Henshaw, singing voice by John Sebastian) and Jan (speaking voice by Annabel Kershaw, singing voice by Valerie Carter, billed as Laurel Runn). After the two are fired from their latest engagement they fall on hard times. Dan sells his guitar. Jan takes even more drastic measures, selling her soul to B.L. Zebub (voiced by Chris Wiggins) for fame and fortune. When it comes time for the Devil to collect his due, Dan must figure out a way to save Jan. The songs for The Devil and Daniel Mouse were written by John Sebastian, formerly of The Lovin' Spoonful. They were sung by Mr. Sebastian and Valerie Carter. Valerie Carter spent most of her career as a back up vocalist, singing with such diverse acts as Don Henley, Linda Ronstandt, and Little Feat. She also wrote songs for such artists as Jackson Browne, Judy Collins, Earth, Wind, & Fire. She also recorded four solo albums. The Devil and Daniel Mouse was directed by Nelvana co-founder Clive A. Smith. Mr. Smith had already blended animation with popular music as part of the crew that worked on The Beatles Saturday morning cartoon as well as the feature film Yellow Submarine (1968). He would later direct Nelvana's first feature film, Rock & Rule (1983). Here it must be be pointed out that The Devil and Daniel Mouse would be historic as the first Nelvana project to feature the familiar Nevlana logo with a polar bear at the end. 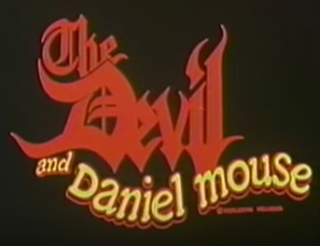 The Devil and Daniel Mouse debuted on the CBC on October 5 1978. It would be syndicated to American television stations that same month. Nelvana Records also released a record album based on The Devil and Daniel Mouse in 1978. The following year Avon/Camelot released a storybook written by Ken Sobol and featuring lyrics and music by John Sebastian. The special would continue to air for the remainder of the Seventies and throughout much of the Eighties. Of course, today The Devil and Daniel Mouse might be most famous for providing inspiration for the cult film Rock & Rule. Initially intended as a children's movie not unlike the holiday specials Nelvana produced, Rock & Rule would ultimately be an animated feature film that was definitely intended for an adult audience. That having been said, it is easy to see how The Devil and Daniel Mouse inspired Rock & Rule. Both incorporate rock music with animation. Both deal with diabolical figures. Perhaps the most obvious similarity between the two is that both use the idea of music being able to defeat evil (as Dan says in The Devil and Daniel Mouse, "...a song from the heart beats the devil every time."). While Rock & Rule would have a very limited theatrical run that prevented it from making any money at the box office, it would go onto become a cult film and is now widely regarded as a classic. The Devil and Daniel Mouse would have a somewhat spotty history on home video. It was released on both VHS and Betamax. In 1980 it was included in the collection Nelvanamation. It was also included on the collection The Devil and Daniel Mouse and Tales of Fantasy and Science Fiction. The Devil and Daniel Mouse and Tales of Fantasy and Science Fiction was only released on CED Videodisc, a format that lasted only briefly in the Eighties. It would later be included on both the two-disc DVD and two-disc Blu-Ray releases of Rock & Rule. Unfortunately the version included with Rock & Rule was a later one edited down to 22 minutes from the special's original 25 minutes to make room for commercials when it was syndicated. The Devil and Daniel Mouse would be historic for many reasons. First, it was one of Nelvana's earliest projects. Nelvana would go onto become one of the most important Canadian animation studios. Second, it was a Halloween special at a time when Halloween specials were rare. Before The Devil and Daniel Mouse, there was It's the Great Pumpkin, Charlie Brown and not much else. Third, it was the first of Nelvana's projects to feature the familiar polar bear logo. Fourth, it provided the inspiration for Rock & Rule, now regarded by many as a classic. The Devil and Daniel Mouse is rarely seen these days, but given its place in history (as well as the fact that it is rather well done), it really should be seen more often. Turner Classic Movies is my favourite cable channel. It is the one place where I am guaranteed to see classic movies every single day. I especially look forward to each October when TCM shows classic horror movies, particularly those from Universal, RKO, and Hammer. Unfortunately there is one movie that is often missing from TCM's schedule this time of year: Arsenic and Old Lace (1944). It is true that Arsenic and Old Lace is not a straight forward horror movie. Indeed, it is a comedy. That having been said there are several reasons why it is the perfect film for TCM to show every Halloween season. 1. It is set at Halloween. 2. It features what may be the first ever instance of trick-or-treating in a feature film. Although it seems as if it has always been a part of the holiday, trick-or-treating is actually a relatively recent development. The first reference to trick-or-treating was in Alberta, Canada in 1927. From there it spread to the western United States. Throughout the Thirties the custom moved eastward until it reached the East Coast towards the end of the decade. For that reason trick-or-treating is not portrayed in any feature films made in the Thirties. No films made in the early Forties mention trick-or-treating either, with the exception of Arsenic and Old Lace. Shot in 1941, but not released until 1944 when the Broadway play upon which it was based had ended its run, Arsenic and Old Lace appears to have been the earliest film to portray trick-or-treating. The scene happens very early in the film, with Aunt Abby and Aunt Martha handing out jack o' lanterns to trick-or-treaters who arrived at their door. The scene is brief, but it perhaps establishes Arsenic and Old Lace as being a Halloween movie more than any other scene in the film. 3. Arsenic and Old Lace is a horror comedy. That Arsenic and Old Lace is a comedy there can be no doubt. That having been said, it is part of a particular subgenre of comedy, the horror comedy. Let's face it, the movie not only deals with little old ladies who poison lonely old men, but features a serial killer in the form of Jonathan Brewster (played by Raymond Massey). Add to this the fact that it is set in a creepy old house that is just across from a graveyard. What is more, Arsenic and Old Lace features some frightening moments, much more frightening moments than such fellow horror comedies as The Cat and the Canary (1939) or Abbot and Costello Meet Frankenstein (1948). In other words, Arsenic and Old Lace would fit in quite well with the more serious Universal and Hammer horrors TCM shows during October. 4. Among the stars of Arsenic and Old Lace is Peter Lorre. Today Peter Lorre is counted among the great horror actors. Following Arsenic and Old Lace he would make several horror movies, including Invisible Agent (1942), The Beast with Five Fingers (1946), Tales of Terror (1962), and The Raven (1963). Even in 1941 he would have had a link to the genre. A good argument can be made that M (1931) is as almost as much a horror movie as it is proto-film noir. Even if M is not counted as a horror movie, Peter Lorre starred in Mad Love (1935), in which he played a somewhat more sinister surgeon than Dr. Einstein in Arsenic and Old Lace. Of course, in the original stage version of the play there was an actor who even then was more firmly linked to the horror genre than Peter Lorre ever would be. Boris Karloff played the role of Jonathan Brewster. Unfortunately, the producers of the play would not release Mr. Karloff to do the movie, so Raymond Massey was cast in the role. That having been said, Raymond Massey was made to look as much like Boris Karloff as possible. 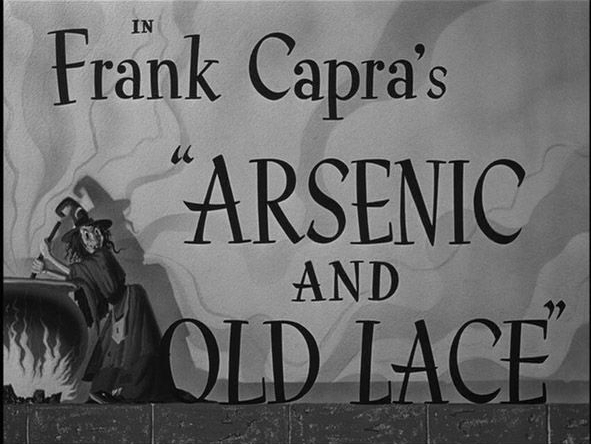 That brings us to the fifth and final reason TCM should show Arsenic and Old Lace at Halloween. 5. There are a lot of Boris Karloff references. Given Boris Karloff was cast in the role of Jonathan Brewster, the original play contained a number of references to the actor as in-jokes, including the famous line, "He looks like Boris Karloff." While Jonathan Brewster was played by Raymond Massey in the film, he was made to look as much as Boris Karloff as possible. What is more, the various Boris Karloff jokes remained in the film. Now there is perhaps no other actor as connected to Halloween as Boris Karloff, and not simply because he appeared in countless horror movies. He was often in demand as a guest on Halloween episodes, both in radio and on television. He appeared on the 1947 Halloween episode of Bing Crosby's radio show, where he sung "The Halloween Song" with Bing Crosby and guest Victor Moore. He later appeared on the 1950 Halloween edition of the Paul Whiteman Revue. On television he appeared, alongside Lon Chaney Jr. and Peter Lorre, in the famous Route 66 Halloween episode "Lizard's Leg & Owlet's Wing". He even appeared on the 1965 Halloween edition of the rock music show Shindig. If this were not enough to cement Boris Karloff's association with the holiday, he was the star of the stop-motion animated classic Mad Monster Party (1967), traditionally shown at Halloween. While Boris Karloff did not star in the film version of Arsenic and Old Lace, there are enough references to him to link him to the film and provide yet another link between the film and the holiday. It is because of the reasons above that many people, myself included, enjoy watching Arsenic and Old Lace every October. Indeed, in the days when independent stations dotted the television landscape, it was not unusual for many of those stations to show the movie each October, often on Halloween itself. I am really hoping that next year Turner Classic Movies will show Arsenic and Old Lace in October and that they will do so from here on out. It really should be as much of a tradition for TCM to show Arsenic and Old Lace in October as it is for NBC to show Its' a Wonderful Life (1946) every December.